Piano players don’t get to practice at will – it’s not an instrument that you can readily lug around. Many of them practice on electronic keyboards, and a good percentage of keyboard players started out by taking piano lessons. As you probably already know, there’s always room for improvement when it comes to owning and playing certain instruments, and pianos and keyboards are no exceptions. Know someone practicing endlessly to become the next Havasi or Jordan Rudess? – Here are some gift ideas that show you understand and respect their commitment to the craft. Practicing the piano for hours is not something that comes easily to everyone. If you have a friend or bandmate that’s constantly striving for excellence, this is something that might help them. 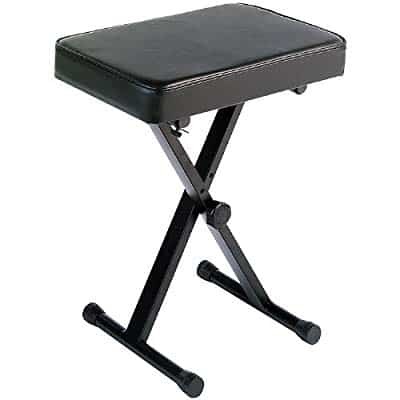 The Yamaha PKBB1 keyboard bench is fully adjustable and very sturdy. It promotes good posture and offers a comfortable padded seat. It also won’t burn a hole in your wallet and your friend will appreciate the level of quality and durability. A proper keyboard stand is very important when practicing the instrument. If you’re looking for gift ideas for a fellow keyboard or piano player, then consider the RockJam Xfinity. It’s adjustable between 4 and 38 inches, which makes it highly versatile. The metal construction is high-end. This should make it an impressive and thoughtful gift for someone that prefers heavier electronic keyboards. And, better yet, the stand comes with strong support straps, making it stage-ready. 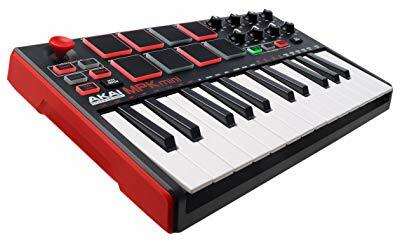 This 25-key MIDI controller could be an awesome gift for a keyboard player that’s constantly on the move. The controller comes with a complete software package which works on both PC and Mac. You may also want to consider this as a birthday present for a fellow musician that likes experimenting with different sounds and effects. The comprehensive software should keep your friend busy for the better part of the year. And don’t worry about your friends with exquisite taste. This portable MIDI controller comes with octave up and down buttons. Using them unlocks the full melodic range of the small keyboard. If there’s one thing most keyboard players complain about, it’s how different it is to play an electronic instrument compared to the real deal. 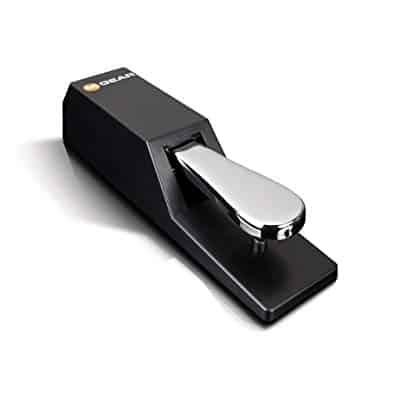 If you have such a friend, you might want to consider getting him or her a sustain pedal. The SP-2 has piano-style action and works with pretty much any electronic keyboard. The feedback is just what you would expect from an acoustic piano. It’s one way you can make your friend’s practice sessions more exciting. You don’t need to have a professional keyboard player among your group of friends to gift a keyboard gig bag. You can also get this for someone that carries their keyboard to a teacher’s house a few times a week for lessons. 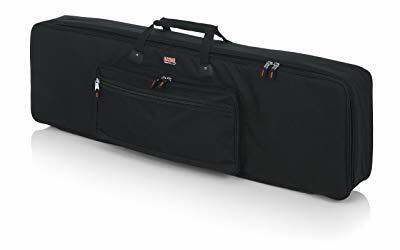 Gator offers a wide range of cases or gig bags from 49-note to 88-note in size. There are also both slim and regular gig bags. Regardless of the type, you’ll find that the reinforced carry handles and the rugged material are worth every penny. Your friend or kid will certainly appreciate it. Comfortable, adjustable, and great-sounding, the Sony MDR7506 is an excellent pair of headphones for practicing any instrument. If you know a keyboard player who’s constantly complaining about not being able to practice at home, the MDR7506 makes a great gift. 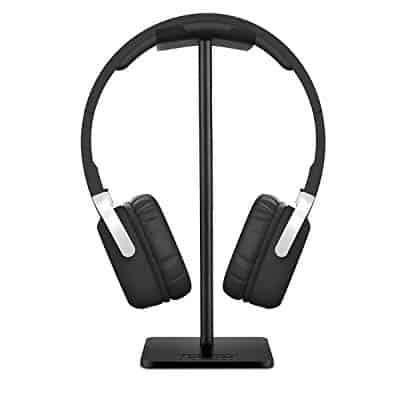 The headphones have a 9.8ft cord, great noise isolation, and wide frequency response range. They’re also foldable which makes them easy to go places with. This is one way to make sure your friend gets all the practice time he needs to reach his goals. 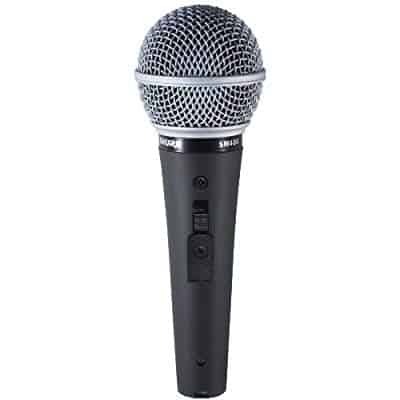 Shure microphones are used all over the world in recording studios and live performances. If you know someone that plays the piano or keyboard professionally, the SM48S-LC could be an insightful gift. It has an on/off switch, a frequency response that emphasizes vocals, and a cardioid pattern which minimizes the effect of off-axis sound. It’s also rather affordable. Do you know someone that just started taking piano or keyboard lessons? – A keyboard also needs to be tuned and have its tone adjusted. 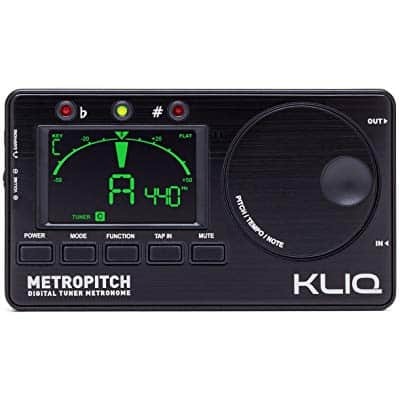 If you want to help out an actual beginner, the MetroPitch is a very handy gadget. Not only does it act as a tuner and tone generator, but it also works as a metronome. It can help your friend nail down the tempo. It also comes with various beats pre-programmed so that a keyboard player can practice improvising in various musical genres. It also helps that the MetroPitch comes with a 3-year warranty. Wireless studio monitors are getting more and more advanced each year. 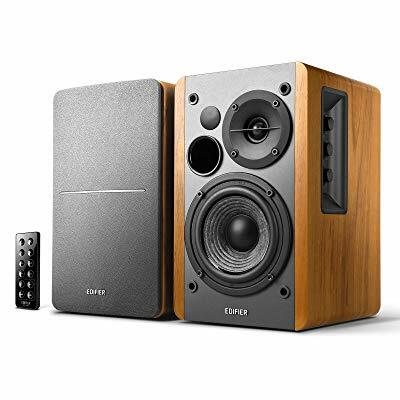 The Edifier R1280DB is a very clear-sounding monitor with a compact footprint and an affordable price tag. But why is this important? – Because keyboard players can’t just rely on the built-in speakers on their instruments. Most keyboard speakers are no match for a good pair of studio monitors. If you want to let a fellow piano/keyboard player know that you care, this makes an excellent gift. It’s easy to set up and the sound quality is almost unbeatable in this price range. If a birthday’s coming up and you’re looking for something a keyboard player may enjoy, consider a keyboard cover. While a carry case or gig bag will offer more protection, they’re inconvenient for use at home. The GKC-1648 is an elastic cover that can fit over a 76- or 88-note keyboard. It’s fully washable and easy to remove when the musician’s in the mood for practicing. This is also an affordable way to show someone you care. Considering the usefulness of the gift, you won’t have to worry about looking cheap. Do you know someone who’s struggling to learn the piano or keyboard? Maybe someone that can’t afford to take lessons or would rather be self-taught. A very supportive gift can be a set of piano stickers. These ones from QMG come for all keyboards from 49 to 88-note models. They’re transparent and easy to attach. The stickers offer visual cues that help beginner players pick up the notes faster and develop muscle memory quicker. They help make practicing much more fluid and they also come with an eBook of easy-to-learn piano songs. Keyboard players deserve their own amplification. 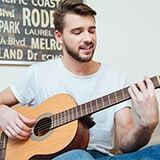 They shouldn’t have to share with lead singers as it’s so often the case in small venues or rehearsal studios. If you know someone that’s struggling to be heard, consider the Ultratone KT108 as a present. This dual-channel keyboard amplifier has enough juice to make even a low-end keyboard audible on a small stage. It has the durability one would expect from Behringer and enough adjustability to be viable for many musical genres. The 3-band EQ system is fun to experiment with when trying to get that unique tone. Some musicians are fortunate enough to own or have access to a piano. Others of course rely on keyboards to learn and perform. But what can you get someone that has a piano? Consider something affordable and useful. Like an all-in-one piano cleaner. The Music Nomad MN130 takes care of all the cleaning, polishing, and waxing needs of an acoustic piano. It contains anti-static agents and Brazilian carnauba wax, which helps to create a transparent protective barrier that maintains the gloss and integrity of the wood. It’s also biodegradable so if your musician friend is all about the environment, he’ll surely appreciate the gesture. 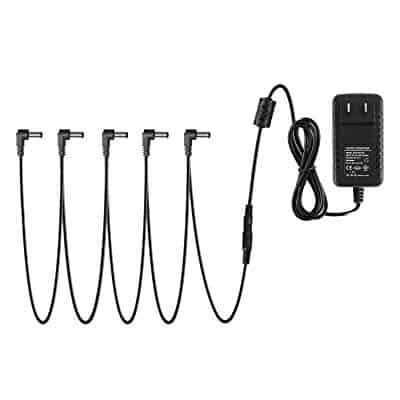 Daisy chain adapters are very useful gadgets for any professional musician. If you know someone that uses lots of pedals for their guitar, the Donner DPA-1 is almost a must-have item. But this 9V adapter is also good for powering negative tip keyboards. If you’re running out of gift ideas and you know someone that has a Casio, Korg, Boss, or any other negative tip keyboard, the DPA-1 is something they can use. With the sturdiness and amazing cable quality, it’s a multipurpose gadget for beginner and professional musicians alike. This sounds a bit unorthodox, but getting a ukulele for a piano player is not that out there. Piano players have a tendency to spend too much time learning classical music. It sounds amazing but it’s not often fun because of the technical difficulty. 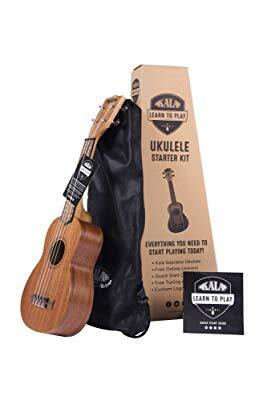 Given that a piano player already has great finger dexterity, a ukulele shouldn’t be a hard string instrument to play. The Kala LTP-S has four strings, a durable body, and a very short scale length. If you think someone you know is studying too hard and not having enough fun, this is one gift that will take them by surprise, while also being of use. After all, you can’t play everything on a piano and make it sound natural. Assuming you know someone that can read sheet music and you want to help enhance their study sessions, a very nice sheet music stand can often be a thoughtful gift. Mind you, not everyone has a keyboard stand or keyboard that supports sheet music. This item has a welded steel base and non-slip feet, as well as amazing balance. It’s as sturdy as they come, which makes it completely viable for live performances. Therefore, there are a lot of musicians that can benefit from it, piano and keyboard players included. Did you start a blues band and feel like something’s missing from your sound? – Try adding a harmonica to the mix. Or, better yet, get a blues harmonica as a gift to one of your other bandmates. Why not the keyboard player? When used with a mount, your guy can play two instruments at the same time while you can focus on your lead guitar or on your raspy vocals and exercising your breathing technique. 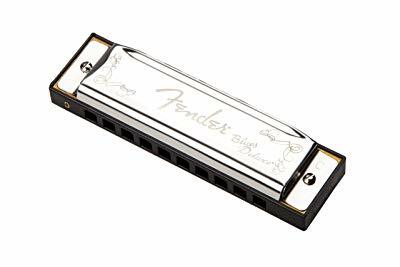 Harmonicas and blues go hand-in-hand so it makes sense to pair one with a quality keyboard. It’s funny sometimes how something so cheap can help to maintain extremely expensive instruments in fine working condition. Do you have someone in mind that is a complete freak about piano maintenance and instrument maintenance in general? Ask them if they use the Piano Life Saver System. 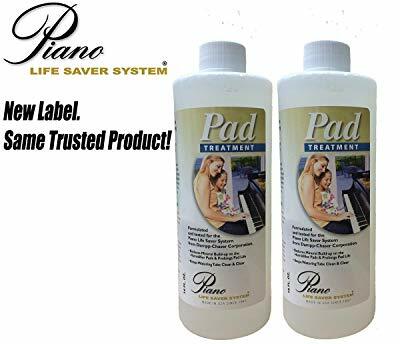 This humidity monitoring and control system helps to keep piano pads in pristine condition. The next time you go visit, you can grab a couple bottles of the Dampp-Chaser Piano Humidifier solution. It’s essential to the humidifier system and something your friend will definitely need. Maybe you’ll even be able to make a request or two after catching up. Know anyone that’s complaining about a lack of storage options for their headsets. Maybe you know a keyboard player or piano player that’s tired of having to take the headphones out of their case before each study session. A headphone stand can be a very nice gift. It’s the same concept as a guitar, bass, or keyboard stand, only this is for accessories and not instruments. The New Bee headphone stand is affordable yet highly useful if you know someone that studies or records with headphones. 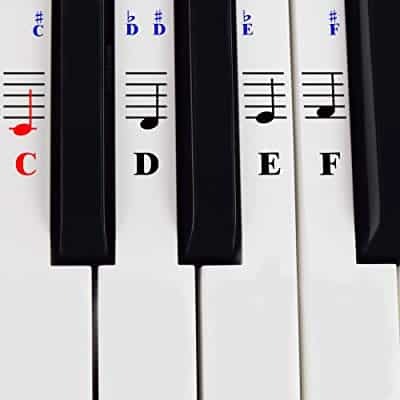 Is someone you know having a hard time learning to play the piano or keyboard? Maybe there’s just not enough time during the day for study. Keyboards aren’t that hard to practice quietly but lighting is required if nighttime study becomes mandatory. 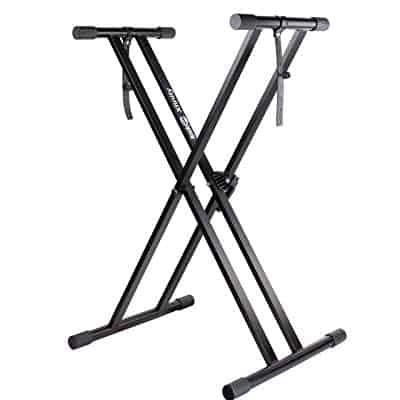 Consider this Kootek music light stand as a gift. 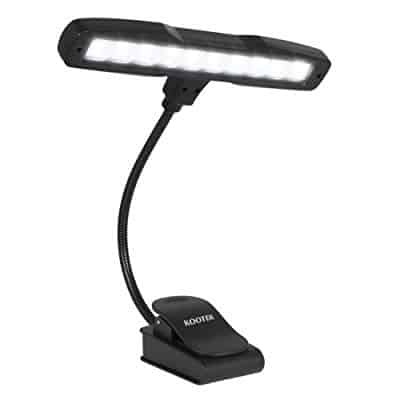 This rechargeable light stand houses 10 LED bulbs. It will emit more than enough concentrated light so that your friend can practice on the instrument without disturbing other household members. A gift doesn’t have to be expensive for someone to appreciate it as long as they can put it to good use. Musicians are in constant need of gadgets and accessories to enhance their performance or to make learning easier. As you can see, there’s no shortage of cool stuff that you can get for them.